The BookBook is a Hardback Leather MacBook Case. 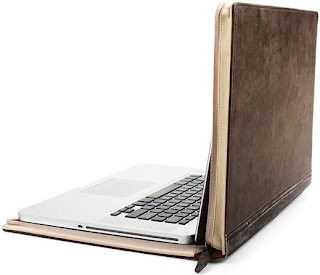 It turns your Macbook into a Leather-Bound Book. But it here.